Hey All! 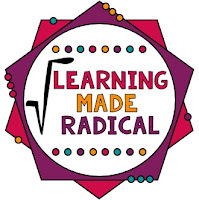 Welcome to Learning Made Radical! A quick introduction, I am Kara Holland and the one behind Learning Made Radical :) I live in a small town in Wyoming with my husband and our 3 littles (ages 7, 5 and 2 1/2)! I taught 3 years of math at our local middle school. I taught kiddos in 6-8th grade including math enrichment. I resigned and became a stay-at-home mom to our 3 littles, a full time teacherpreneuer and recently a graduate student! 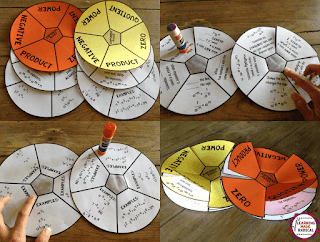 I love making creative, engaging AND print ready middle school math resources! Head on over to my 'About Me' section to read more! I am excited to have connected with the talented and amazing bloggers you are hopping through today. They have been a great support system for me along this journey! Many years ago, my mother started a tradition of collecting ornaments for us every year. Every year she would pick out an ornament that represented my brother and myself that year. She then added in my then boyfriend, now husband to the special ornament tradition. When my husband and I moved to Wyoming and started our own family, she sent along ornaments she had collected through the years. Not all have made it over the years, but I still have a few that hold special meanings when I put them on our family Christmas tree yearly. I have an ornament from the first Christmas my husband and I spent together when we were dating through this year! Today I buy 3 ornaments for our littles and added a new spin on our tradition, I find a family ornament that holds a special meaning from that year. 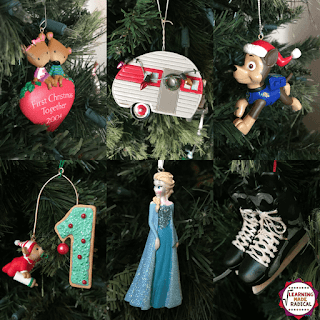 I started that little spin when my husband and I started dating 13 years ago :) I love when we put our tree up and the littles get to put their special ornament on the tree and we talk about that favorite memory from that year. They may be little still, but those moments I cherish like no other! What are your favorite holiday traditions? I LOVE interactive notes! This was my first set of notes I created when I started my TpT store. When I was teaching, exponent rules were a struggle for my students. I thought back to that time and wished I had something to organize notes better for my students. I also struggled to find resources that broke down each exponent rule individually. 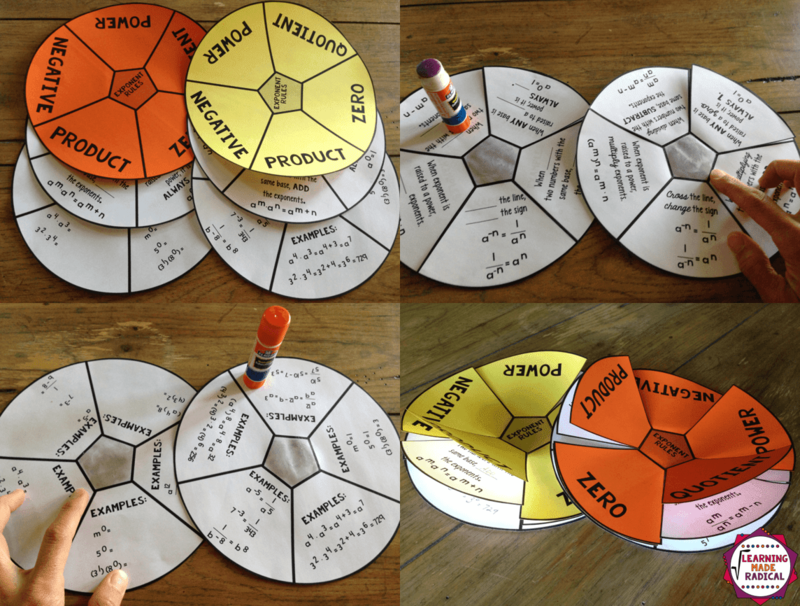 Those were the starting resources and my 'why' to creating my Teachers Pay Teachers store, Learning Made Radical. I needed simpler resources that addressed individual exponent rules along with an organized and fun way of introducing notes. The notes I created are either 2 or 3 layers of notes. Top layer being the vocabulary word, second layer having definitions and the third layer being an example. There are some that have the definitions and examples on the same layer, it depends on the topic. I recommend to print off the notes on card stock, with the top layer being a bright color. These Astrobright 'Happy' colors are my favorite! That'll help them stand out in folders, books, and lockers. A great reference tool for students. How do you incorporate notes into your lessons? or email me at kholland2007@gmail.com. In my second year of teaching, classroom management was a struggggle! I felt I was trying everything under the sun and none of it was working. Then an Instructional Facilitator introduced me to Whole Brain Teaching. 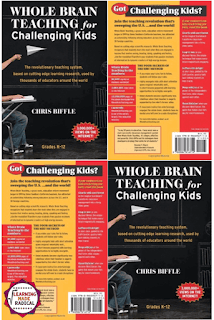 He gave me a book called "Whole Brain Teaching for Challenging Kids: (and the rest of your class, too!)" and suggested that I give it a read. Have you read this book before? A book and a handful of YouTube videos later, I was sold! I introduced it with my 8th graders first and it quickly turned my class around. There was more attentiveness, less small talk/chatter, more classroom discussion, volunteers for answering questions, volunteers with sharing their strategies and overall a higher respect between students and myself. I had clear expectations, but introducing Whole Brain Teaching helped enforce those expectations. I wasn't wasting precious minutes of class time handling poor behavior in class, it was now being spent on teaching and learning. The book and the WBT approach completely changed my classroom structure, in the most positive way! I will forever be grateful for being introduced to WBT! 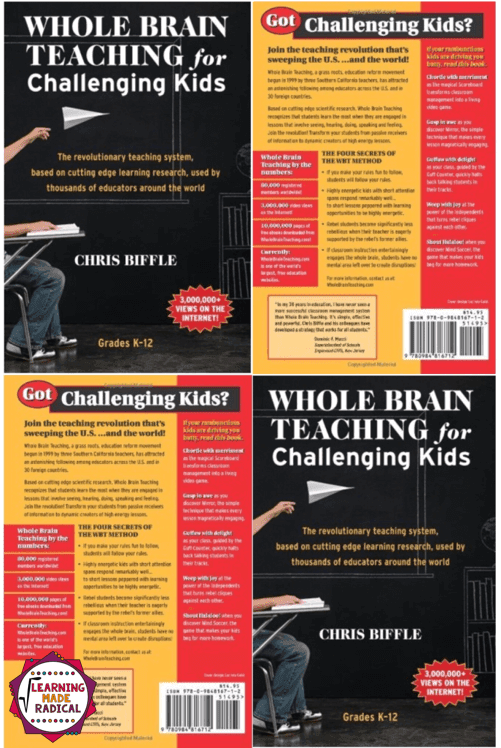 Have you ever used whole brain teaching in your classroom? Ready to ENTER the GIVEAWAY? 1.) Comment below your FAVORITE holiday cookie! 2.) Follow my blog* for a chance to win a $10 gift card to Teachers Pay Teachers, a set of EXPO Markers AND a set of SHARPIES! 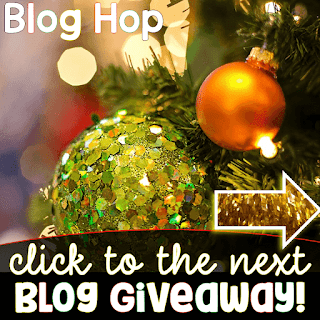 *If you already follow my blog, your comment on this post will be your entry. 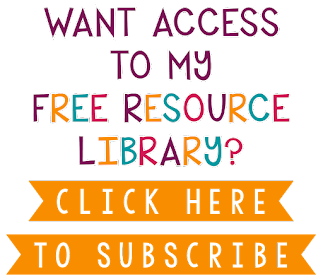 Bonus: You'll get a FREE Interactive Notes Activity for subscribing! 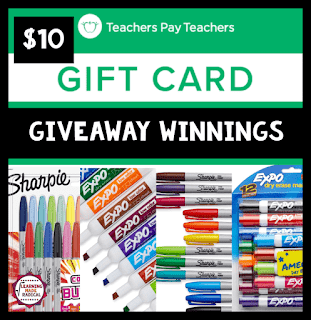 Thank you for reading, subscribing and entering! Now it's time to hop over to Activity After Math with Hayley Cain's blog to enter another giveaway! 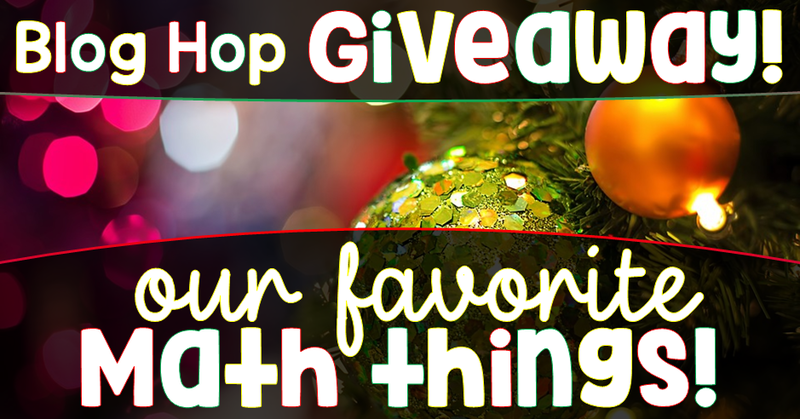 Giveaway ends Monday December 18, 2017 at 8PM EST! Sugar Cookies with red and green sprinkles are my favorite! A favorite in our home! Russian teacakes are my absolute favorite! I'll have to Google these! Haven't made these in forever! Anything with lots of frosting and peanut butter kisses (does anyone else call them that??)! Hehe! I have called them Peanut Butter Blossoms?! On my list to make! Need to make these, it has been awhile! Yum! Making these this week! I love the basic sugar cookie! Especially when they're still a little soft. I love thumbprint cookies!!!!!!! Happy Holidays! Making my first ones this week! 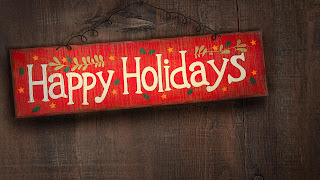 Happy Holidays to you! My favorite cookie is my mom's Ishler cookies! Merry Christmas! Have to Google these :) Happy Holidays! Soo yummy! Especially super soft ones! Never tried them with chocolate chips before! SNOWBALLS, made with butter, pecans, flour, and powdered sugar! They melt in your mouth! Have to give these a Google search! Sugar cookies with powdered sugar icing!!!! My favorite are butter cookies and thumbprint cookies with raspberry jam! I love peanut butter cookies with Hershey's kisses! Have to try those, love both items! Peanut butter blossoms and butter butter cookies! Gingerbread cookies! Especially my grandma's! I'm pretty much a fan of homemade cookies in general, but I will always grab a peanut butter blossom when I see one. In the past, they were my grandmother's sugar cookies. They were fluffy and tasty! Now that I have to eat gluten free, I enjoy chocolate chip pumpkin cookies made from oatmeal flour. Those sound good! I love pumpkin chocolate chip cookies! Had me at Heath Bar, yum! Frosted sugar cookies and the pretzel kiss m&m bite!! I feel these are my favorite too! I like that variety pack of small cookies that only comes out at Christmas. Hannah Park -- Can't go wrong with the peppermint candy cane cookies! Peanut butter balls. Even now as adults, we fight over them when mom makes them. sugar cookies drowned in icing and sprinkles ! My favorite cookies are S'mores Bars made with graham cracker crumbs, chocolate chip cookie dough, and marshmallows! I love sugar cookies !!!!!! Soft ones are the best! OH, I love these too!